The only Video jukebox system like this in perth.You want to hire the best Video Music for your next party, Wedding, Birthday and Corporate Events ? you found it here!! Two speakers on stands ensures great sound, there’s 2 Effect Lights which will light up the room and a massive selection of music videos old and new. Simply build your play list by drag and drop and the program mixes for you like a professional DJ. 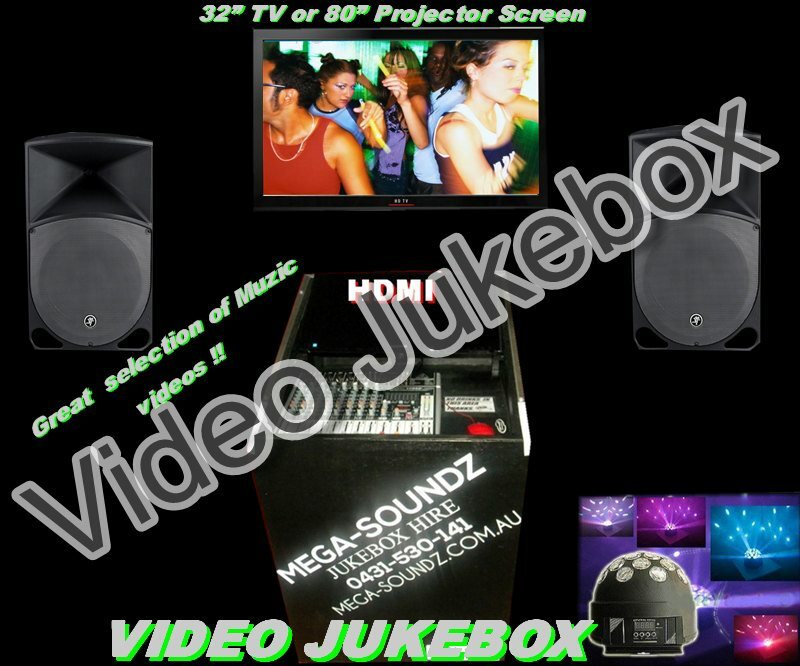 This entry was posted in Karaoke Jukebox Hire Perth Party Hire Perth, Latest News. Bookmark the permalink. Slushie Machine Hire Perth, Floss, Bubble .